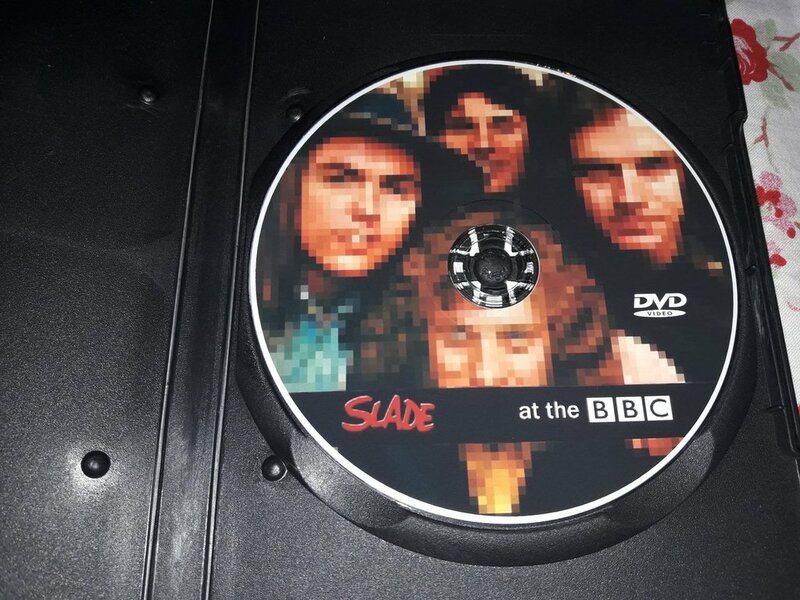 Slade At The BBC (1969-1991) collection of archive recordings from the British Glam/Rock band. 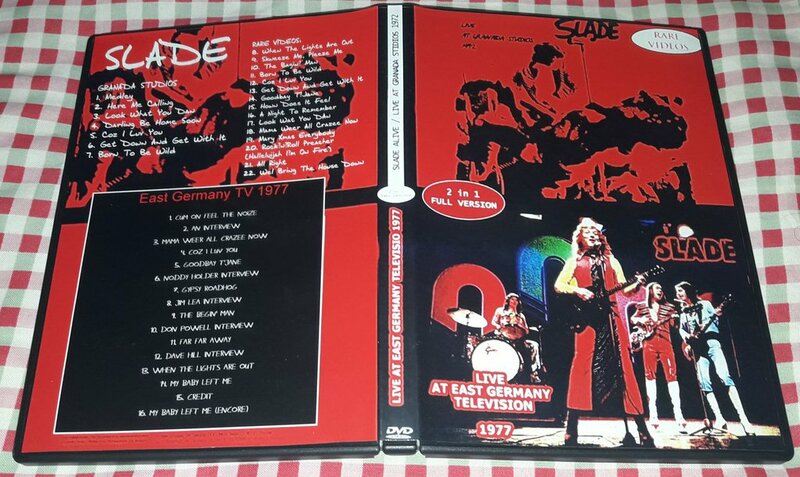 This dvd is a release that Slade fans have long dreamt of - a fantastic document of the period during which they transformed themselves from a potent live attraction with a burgeoning song craft of their own into the UK's favourite hit-making machine. 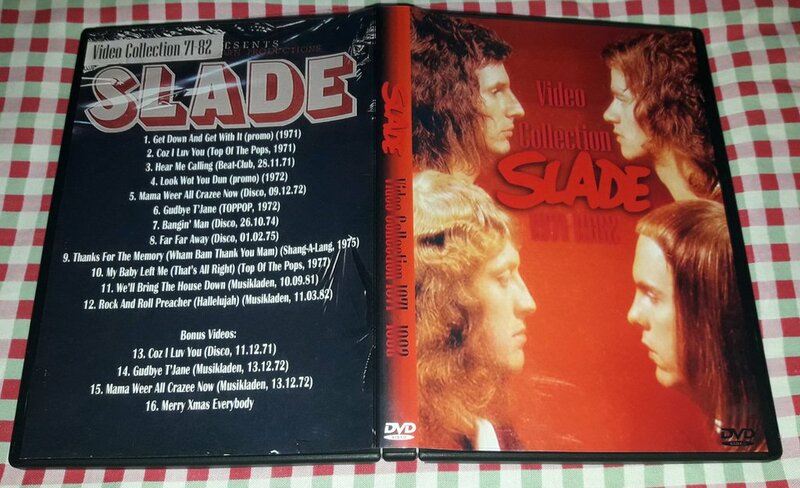 In the mid-1970s, Slade were such a cultural phenomenon that our entire school was taken, class by class, to see their only film. We went expecting daft costumes, glam stompers and Noddy Holder's Black Country bellowing and got a film that was funny but also a bleak and occasionally brutal expose of the darker side of the music business and human nature. It was as educational as anything in physics or the bike sheds. Nearly three decades later, the 1974 movie brilliantly captures the period but is more enduring than almost any other rock film. The biz is still peopled with oily, "respectable" characters like Tom Conti's Seymour; Holder-Lea's untypically poignant Everyday and How Does It Feel? could have been written this week; expressions like "gnat's piss" (beer) are everyday language and it's only a matter of time before fashion rediscovers tank tops. 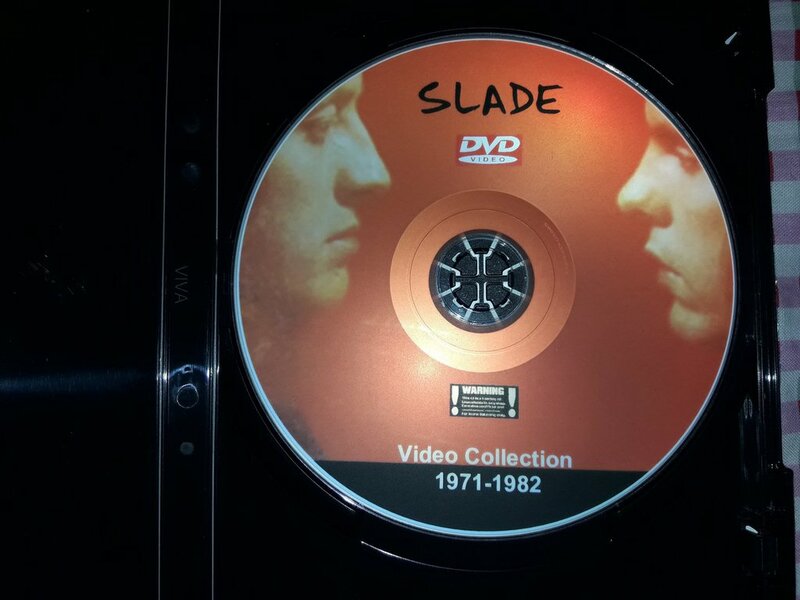 Moreover, this DVD release will thrill fans of Vic 'n' Bob's spookily true to life "Slade sketches". At one point, Jim encounters Noddy tending his pigeons. "Come in," grins Nod, spattered in pigeon poo. "They're vegetarians." 06. The Bangin 'Man (From Supersonic, 1975). 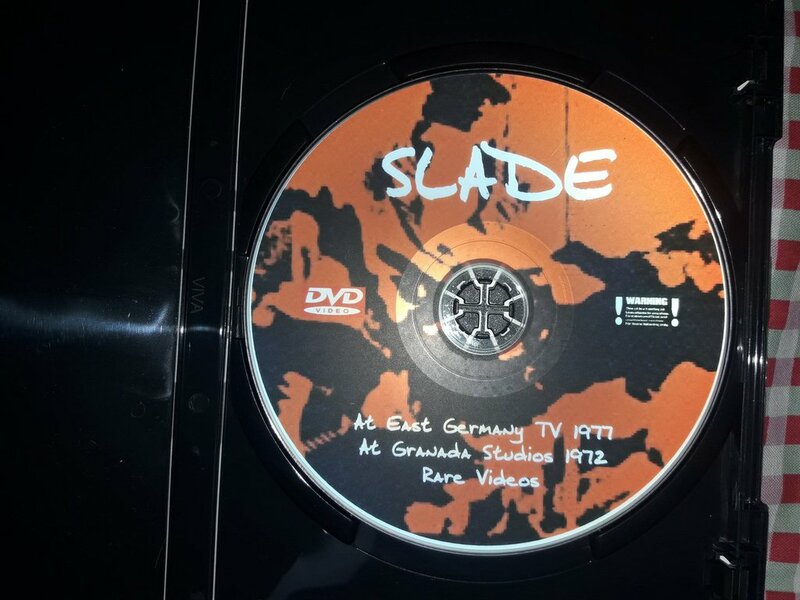 This is the long awaited independent critical review of the 21 hit singles produced by Slade during the glory years with Noddy Holder at the microphone. 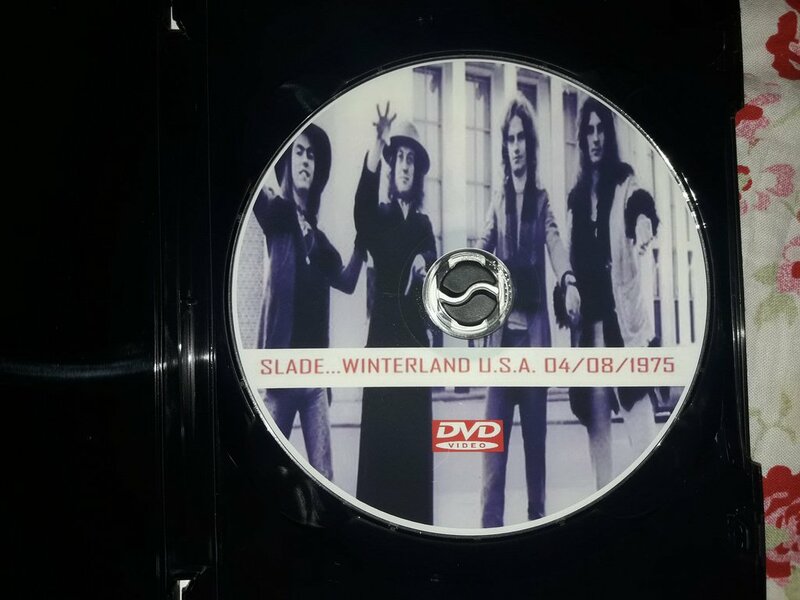 Featuring rare archive footage of the band in performance and the incisive views of a leading team of music critics and musicians, this is the definitive re-assessment of all of the chart hit singles from the golden age of Slade. Features rare interviews and archive footage of performances of Get Down and Get with It, Coz I Luv You, Look Wot You Dun, Gudbye T'Jane, Mama Weer All Crazee Now, Merry Xmas Everybody, Run Run Away, We'll Bring The House Down, and many more. Underappreciated stateside but a massive phenomenon in their UK homeland, British band Slade helped popularize the glam-rock revolution alongside David Bowie and T-Rex. Helmed by outrageous frontman Noddy Holder, the group scored 21 hit singles all told, 11 of them during the four-year span of 1971-74. This critical survey traces the history of the flamboyant group, examining the glory days from the perspective of leading music critics and musicians, who reassess this seminal work. 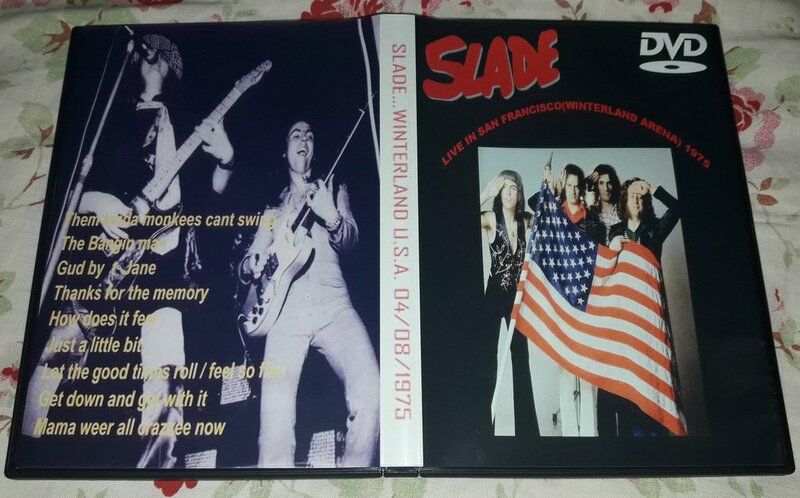 In addition to rare archive footage and interviews, live performances of such tracks as "Get Down and Get with It," "Coz I Luv You," "Look Wot You Dun," "Gudbye T'Jane," "Mama Weer All Crazee Now," "Merry Xmas Everybody," "Run Run Away," and "We'll Bring the House Down," prove why Slade has always rocked, and still does.